V6 Vectra B : Been having a few problems, my interface isn't working for some reason so can't connect to the ECU. Decided to check the plugs (half a days work on this engine!) Found that one bank looked fine, but the other bank all 3 plugs have lost their central tip. (see pic) I'm assuming these must have been getting hot, can anyone suggest a reason for this? I changed a suspected faulty ignition coil several months ago, and I'm wondering whether the fault on this coil may have caused the problem? If not, what would make one bank run leaner than the other? Your link doesn't work. What make were the plugs? Brian_H wrote: Your link doesn't work. What make were the plugs? Sorry for the delayed response Brian, I've been away and for some reason this site doesn't work abroad. Denso by the looks of the photo then, could be a number of reasons, I'd start with the Lambda sensor - if you can look at the cars obd diagnostics you should be able to see the sensor readings, does it flick between lean and rich as expected? (should look like a smooth wave up and down). Any idea what the fuel trims are showing? Any difference on LPG vs Petrol? No idea why site wouldn't work abroad, though might depend on the country in question. Were you being blocked from accessing the site or just unable to post? Brian_H wrote: Denso by the looks of the photo then, could be a number of reasons, I'd start with the Lambda sensor - if you can look at the cars obd diagnostics you should be able to see the sensor readings, does it flick between lean and rich as expected? (should look like a smooth wave up and down). Any idea what the fuel trims are showing? Any difference on LPG vs Petrol? Whenever I try to access the site from Bulgaria it just takes me to a page selling the domain name, so I can't get onto the site at all. The engine has been a bit hesitant on acceleration for a long time. Although worse on gas, it still didn't feel right on petrol. I started be replacing both injector rails, but same issues. I suspected the ignition coil (these are a common failure on this engine) and after testing it, found it to be reading a lower than normal resistance on one side. I replaced it, and although it felt marginally better it still wasn't right. I then found the problem with the plugs. After sticking 3 'ordinary' plugs back in it's much much better. However, there's still a problem which was evident driving home from the airport yesterday. While driving short and stop/start journeys all is fine, but when cruising on a motorway at 70-80mph at relatively low revs/load the gas occasionally switches itself off. I then have to switch off the ignition, then back on a gain, and all is back to normal. If I drive hard, the gas stays on ok. It just doesn't like cruising so I'm wondering if it's running too lean and this is why it's switching itself off? Could be, but if the switch goes off (lights all go out) it usually points to a power issue of some sort (corroded fuse holder or loose fitting fuse on the lead from the battery being one thing thats caused it for me). You might find changing dns settings will enable your access, sounds like something is intercepting it on the way back here. It would be a good idea to get the diagnostics looked at on whatever system this is (can't see anything that says what system it is in your post) and see if anything is being logged there. Same applies to the petrol diagnostics, both is anything being logged, and what do the fuel trims look like if you can get access to that info? Brian_H wrote: Could be, but if the switch goes off (lights all go out) it usually points to a power issue of some sort (corroded fuse holder or loose fitting fuse on the lead from the battery being one thing thats caused it for me). Brian, the switch doesn't go off, it just switches back to petrol and beeps/flashes. Turning the ignition off momentarily resets it, and it then switches back to lpg normally after the requisite delay. It's a King ecu. I have an identical set-up in another vehicle and it won't connect to that any more either. Are these leads generally not very long lasting? Some are better than others, but not all leads are the same - Tinley tech are fairly good and would probably be able/willing to assist with the lead if needed, few things to check first though on that front. Firstly check the lead actually shows up with a com port in device manager, some software prefers com4 or lower, if its recent (last 5 years or newer particually) it should generally work on any port. If it doesn't show up and it shows as "unknown device" or similar, then the drivers are required. This all assumes its a usb lead your using not a serial one of course. If it doesn't show up keep device manager open and remove the lead - does the display refresh when you do that? Secondly if you can confirm which lead you actually have (Tinley list several, but not a specific king one I can see) it may not be the right one? The drivers being an issue are more likely though, particually if you've spoken to TT and asked them for a King compatible lead. The best way to find out why its switching back is obviously to check what error its logging, I'd wonder if your running low on coolant or having temp sensor issues given the description, though that wouldn't explain the plugs. Given it doesn't work on either system its clearly a problem with the lead, or the drivers for it. Brian_H wrote: Some are better than others, but not all leads are the same - Tinley tech are fairly good and would probably be able/willing to assist with the lead if needed, few things to check first though on that front. Thanks Brian for your help so far, it has inspired me to take a closer look and try to establish what's going wrong! I have now discovered that it is the lead which is at fault. It has to be held in a particular position in order to connect with the laptop. I've emailed Tinleytech who supplied the lead. I managed to get a brief connection to my car today and 'errors' are listed on the injectors page. On the 'gas injectors cutout' I switched off the top A B C in turn, which made no noticeable difference in engine tone. However, when I switched off the lower A B C in turn, each one of them made the engine differ, as if it had switched off that particular cylinder. Sounds like progress. The errors will be what's causing it to switch back, so once you can find what those errors actually say you should start getting somewhere. What do they say in the text? Brian_H wrote: Sounds like progress. The errors will be what's causing it to switch back, so once you can find what those errors actually say you should start getting somewhere. What do they say in the text? I don't think it said anything in text. Just 'error' and listed all cylinders. I've reset the errors now so see what happens. Do you get what I meant about switching off in the gas injectors cutout? Yes get what you mean on the injectors, would suggest you look at the lambda sensor on that bank to see what it's doing, plus the fuel trims on that bank under both fuels. See what happens with the error code once you've got a working lead. Might be an idea to compare the injection times if you don't have access to the car obd data. As you can do that from the king software. The only other thought (as its been mentioned over on another forum) is if the plugs in that bank were genuine ones. Though even a duff spark plug shouldn't cause errors to be logged in the lpg controller, And as far as I know Vauxhalls don't usually shut off petrol injectors after a misfire (which could/should log errors in the lpg ecu). Brian_H wrote: The only other thought (as its been mentioned over on another forum) is if the plugs in that bank were genuine ones. Though even a duff spark plug shouldn't cause errors to be logged in the lpg controller, And as far as I know Vauxhalls don't usually shut off petrol injectors after a misfire (which could/should log errors in the lpg ecu). I bought the plugs as a set, so have to assume the damage was caused by some malfunction of the lpg set-up, considering the other 3 are fine. I don't really want to waste another £35 on one of their leads, can anyone suggest another supplier? Is it this lead you have? Theres another lead on lpgshop - though i suspect its the same one looking at it. The genuine one should be alright really, though obviously yours seems not to be if thats what you have. Brian_H wrote: Is it this lead you have? Yes, that's what I have. It's really flimsy on the usb end and I'm not surprised its broken. I am surprised though that Tinley tell me it's not covered by warranty even though they acknowledge there's a problem with these leads. Only way you will find out is to find someone with the same lead and ask, or try it and see. It's not unknown to have issues with leafs, hopefully Simon or someone else who deals with King can recommend one. Might be worth trying to fix the one you already have if possible? Brian_H wrote: Only way you will find out is to find someone with the same lead and ask, or try it and see. It's not unknown to have issues with leafs, hopefully Simon or someone else who deals with King can recommend one. I managed to fix it today by soldering the dodgy usb connections. It may last a while if i'm very careful with it, but I have to say the design is awful, I'm not surprised it broke! I plugged in and on injectors check page it had logged 'error injector 1 & 2' I don't think it records what these errors actually are? Both Lambda sensors appear to be working, and both recording similar patterns. Also, I noticed that on the injectors page the 'slider' is showing slightly towards " injectors too small"
Good work on the cable! I had the same thoughts on seeing the photo, haven't seen that lead other than in photos though so hard to tell. 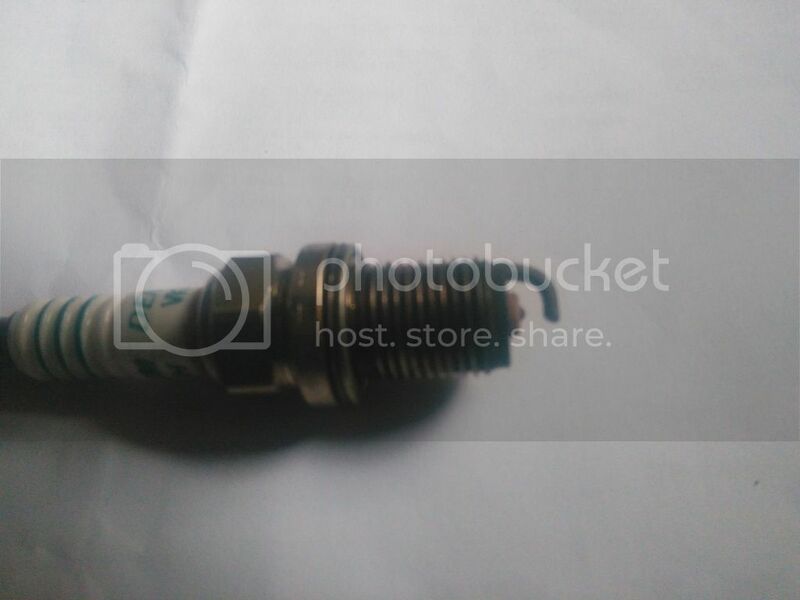 Which injectors (what make and type are they) and what size nozzles do they have? What gas pressure is shown when running on Gas? Combination of that data should allow someone to give an idea if you have the right setup there, Not me though! I'd suspect the errors are its way of saying some sort of electrical error - Maybe as simple as reseating connectors to them, maybe they are starting to fail, maybe a wiring issue (melted wires, corrosion or other damage) Again depending on the actual ones you have fitted, it may be possible to swap coils around to see if the error follows the coil in question. So far this reads as though you may have LPG injector plugs on the wrong injectors on the bank where turning off an LPG injector causes a misfire, and you may have a reducer coolant flow problem at low rpm cruising speeds.